"Beauty and the Beast" is a song written by lyricist Howard Ashman and composer Alan Menken for the Disney animated feature film Beauty and the Beast (1991). The film's theme song, the Broadway-inspired ballad was first recorded by British-American actress Angela Lansbury in her role as the voice of the character Mrs. Potts, and essentially describes the relationship between its two main characters Belle and the Beast, specifically how the couple has learned to accept their differences and in turn change each other for the better. Additionally, the song's lyrics imply that the feeling of love is as timeless and ageless as a "tale as old as time". Lansbury's rendition is heard during the famous ballroom sequence between Belle and the Beast, while a shortened chorale version plays in the closing scenes of the film, and the song's motif features frequently in other pieces of Menken's film score. Lansbury was initially hesitant to record "Beauty and the Beast" because she felt that it was not suitable for her aging singing voice, but ultimately completed the song in one take. "Beauty and the Beast" was subsequently recorded as a pop duet by Canadian singer Celine Dion and American singer Peabo Bryson, and released as the only single from the film's soundtrack on November 25, 1991. Disney first recruited solely Dion to record a radio-friendly version of it in order to promote the film. However, the studio was concerned that the then-newcomer would not attract a large enough audience in the United States on her own, so they hired the more prominent Bryson to be her duet partner. At first Dion was also hesitant to record "Beauty and the Beast" because she had just recently been fired from recording the theme song of the animated film An American Tail: Fievel Goes West (1991). First heard during the film's end credits, the single was produced by Walter Afanasieff who also arranged it with Robbie Buchanan, and included on Dion's self-titled album. The single was accompanied by a music video. Directed by Dominic Orlando, it combined footage of the singers recording the song at The Power Station with excerpts from the film. 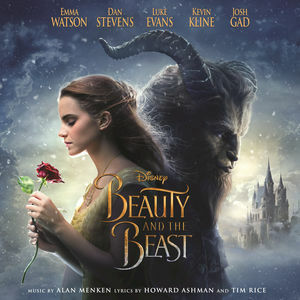 Both versions of "Beauty and the Beast" were very successful, garnering both a Golden Globe and Academy Award for Best Original Song, as well as Grammy Awards for Best Song Written for Visual Media and Best Pop Performance by a Duo or Group with Vocals. The single was also nominated for the Grammy Award for Record of the Year and the Grammy Award for Song of the Year. Lansbury's performance has been universally lauded by both film and music critics. While the Dion-Bryson version received mixed reviews from critics who felt that it was inferior to Lansbury's original, the single became a commercial success, peaking at number nine on the Billboard Hot 100 and becoming the better-known of the two renditions. In addition to returning Disney songs to the pop charts after a thirty-year absence, the success of "Beauty and the Beast" also launched Dion's career and established her as a bankable recording artist. After "Beauty and the Beast" became the first Disney song to undergo a complete pop transformation, several contemporary artists were inspired to release their own radio-friendly renditions of Disney songs throughout the decade. Considered to be among Disney's best and most popular songs, "Beauty and the Beast" has since been covered by numerous artists. In 2004, the American Film Institute officially recognized "Beauty and the Beast" as one of the greatest songs in film history, ranking it 62nd. The Academy Award for Best Original Song is one of the awards given annually to people working in the motion picture industry by the Academy of Motion Picture Arts and Sciences (AMPAS). It is presented to the songwriters who have composed the best original song written specifically for a film. The performers of a song are not credited with the Academy Award unless they contributed either to music, lyrics or both in their own right. The songs that are nominated for this award are performed during the ceremony and before this award is presented. Dame Emma Thompson is a British actress, screenwriter, activist, author, and comedian. One of the UK's most acclaimed actresses, she is known for her portrayals of enigmatic women, often in period dramas and literary adaptations, and playing matronly characters with a sense of wit. She is the recipient of various accolades, including two Academy Awards, a Primetime Emmy Award, three BAFTA Awards, and two Golden Globe Awards. At first English actress Angela Lansbury was hesitant to record "Beauty and the Beast" because it had been written in a style with which she was unfamiliar; she ultimately recorded the song in one take. Pre-production is the process of planning some of the elements involved in a film, play, or other performance. There are three parts in a production: pre-production, production, and post-production. Pre-production ends when the planning ends and the content starts being produced. Fishkill is a village within the town of Fishkill in Dutchess County, New York, United States. The village population was 2,171 at the 2010 census. It is part of the Poughkeepsie–Newburgh–Middletown, NY Metropolitan Statistical Area as well as the larger New York–Newark–Bridgeport, NY-NJ-CT-PA Combined Statistical Area. A bomb threat or bomb scare is a threat, usually verbal or written, to detonate an explosive or incendiary device to cause property damage, death or injuries, whether or not such a device actually exists. In their dance together, Belle and the Beast move toward the camera, as we pan up and into the 3D chandelier. In the next shot, the camera slowly drops from the ceiling as we once again move alongside the 3D chandelier. This adds depth to the scene, as the chandelier is placed at the forefront of the image and Belle and the Beast are in the distance. This shot continues as we move down below and gracefully move around them. The Beast then sways Belle around and near the camera, once again providing us with an illusion that a camera is following these characters around in an actual ballroom. In a wide shot of Belle and the Beast dancing, the camera begins dollying back as Mrs. Potts and Chip appear in the frame. These beautiful compositions and camera movements show us how space functions within an animated feature film. The bridge and verse of the film version, featuring Angela Lansbury. 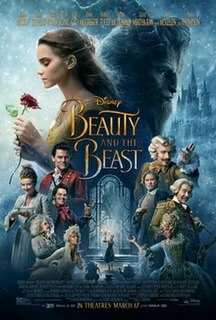 By far the songwriters' biggest triumph is the title song, which becomes even more impressive in view of the not-very-promising assignment to create a 'Beauty and the Beast theme song. But the result is a glorious ballad, one that is performed in two versions, as both a top-40 style duet heard over the closing credits and a sweet, lilting solo sung by Ms. Lansbury during the film's most meltingly lovely scene. For the latter, which also shows off the film's dynamic use of computer-generated animation, the viewer would be well advised to bring a hanky. (1991) "Beauty and the Beast"
(1991) "Je danse dans ma tête"
(1991) "Lost in the Night"
(2017) "Beauty and the Beast"
(2016) "Beauty and the Beast"
The success of "Beauty and the Beast" established Canadian singer Celine Dion as an international recording artist. The song has been parodied and referenced both visually and musically in many forms. This Beauty and King Dork sequence is from the pilot of The Critic. The Little Mermaid is a 1989 American animated musical fantasy romance film produced by Walt Disney Feature Animation and Walt Disney Pictures. Loosely based on the Danish fairy tale of the same name by Hans Christian Andersen, The Little Mermaid tells the story of a mermaid princess named Ariel, who dreams of becoming human; after falling in love with a human prince named Eric. Written, produced, and directed by Ron Clements and John Musker, music by Alan Menken and Howard Ashman, with art direction by Michael Peraza Jr. and Donald A. Towns, the film features the voices of Jodi Benson, Christopher Daniel Barnes, Pat Carroll, Samuel E. Wright, Jason Marin, Kenneth Mars, Buddy Hackett, and René Auberjonois. "Colors of the Wind" is a song written by lyricist Stephen Schwartz and composer Alan Menken for Walt Disney Pictures' 33rd animated feature film Pocahontas (1995). The film's theme song, "Colors of the Wind" was originally recorded by American singer and actress Judy Kuhn in her role as the singing voice of Pocahontas. A pop ballad, the song's lyrics are about animism and respecting nature, and have been compared to both transcendentalist literature and New Age spirituality. Celine Dion is the eleventh studio album by Canadian singer Celine Dion, and her second English-language album. It was originally released by Columbia Records on 30 March 1992, and features the Grammy and Academy Award-winning song "Beauty and the Beast", and other hits like "If You Asked Me To" and "Love Can Move Mountains". The album was produced by Walter Afanasieff, Ric Wake, Guy Roche and Humberto Gatica. It reached number one in Quebec, number three in Canada and was certified Diamond there, denoting shipments of over one million copies in this country. At the 35th Annual Grammy Awards, Celine Dion was nominated for the Grammy Award for Best Female Pop Vocal Performance. The album has sold over five million copies worldwide. "Be Our Guest" is a song written by lyricist Howard Ashman and composer Alan Menken for Walt Disney Pictures' 30th animated feature film Beauty and the Beast (1991). Recorded by American actor Jerry Orbach and English actress Angela Lansbury as Lumière and Mrs. Potts, respectively, "Be Our Guest" is a large-scale Broadway-inspired musical number that takes place during the first half of Beauty and the Beast, performed by the castle's staff of enchanted objects in an elaborate attempt to welcome Belle. Menken initially intended for the melody of "Be Our Guest" to be temporary but was ultimately unable to compose a satisfying one with which to replace it. The song had originally been intended for Belle's father Maurice. However, "Be Our Guest" had to be entirely re-written as the story evolved in order to return its focus to Belle. "Love Lights the World" is song written by David Foster and Linda Thompson, and produced by Foster. It was included on the Foster's Japan-only released album, Love Lights the World. Aladdin: Original Motion Picture Soundtrack is the soundtrack for the 1992 Disney animated feature film, Aladdin. The album was released by Walt Disney Records on CD and cassette tape on October 27, 1992. The soundtrack was intertwined with demos, work tapes and unreleased masters, as well as original scores in 1994 in a four-disc box set entitled The Music Behind the Magic: The Musical Artistry of Alan Menken, Howard Ashman & Tim Rice. A remastered reissue with altered lyrics and new artwork was released in 2001. A special edition reissue featuring two previously released demos and new artwork was released in 2004. 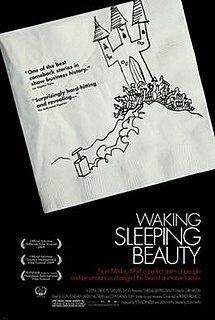 Waking Sleeping Beauty is a 2009 American documentary film directed by Disney film producer Don Hahn and produced by Hahn and former Disney executive Peter Schneider. The film documents the history of Walt Disney Feature Animation from 1984 to 1994, covering the rise of a period referred to as the Disney Renaissance. "Belle" is a song written by composer Alan Menken and lyricist Howard Ashman for Walt Disney Pictures' 30th animated feature film Beauty and the Beast (1991). Originally recorded by American actress and singer Paige O'Hara and American actor Richard White, "Belle", a mid-tempo French and classical music-inspired song, incorporates both Broadway and musical theatre elements. The film's first song and opening number, "Belle" appears during Beauty and the Beast as a large scale operetta-style production number that introduces the film's heroine Belle, considered a book-loving nonconformist by the townspeople of the village, who has grown weary of the provincial life in which she is supposed to live, and Gaston, the film's narcissistic villain who wishes to desire her hand in marriage despite Belle's rejections. "Human Again" is a song originally written for, deleted from, and later restored to the 1991 Disney animated musical Beauty and the Beast. With music by Alan Menken and lyrics by Howard Ashman, "Human Again" was replaced during production of the original 1991 version of the film by "Something There", but retained and revised by Menken and new lyricist Tim Rice for the 1994 stage musical adaptation of Beauty and the Beast. A newly produced sequence featuring "Human Again" was added to the Beauty and the Beast animated film for its 2002 IMAX Special Edition and subsequent DVD, VHS, and Blu-Ray home releases. "Something There" is a song written by lyricist Howard Ashman and composer Alan Menken for Walt Disney Pictures 30th animated feature film Beauty and the Beast (1991). Sung by the majority of the film's main cast, the song was recorded by American actors Paige O'Hara as Belle and Robby Benson as the Beast via voice over, featuring actors Jerry Orbach, Angela Lansbury and David Ogden Stiers as Lumiere, Mrs. Potts and Cogsworth, respectively. The only song performed by the Beast, "Something There" is heard midway through Beauty and the Beast during a scene in which Belle and the Beast finally begin to acknowledge their feelings for each other. Beauty and the Beast: Original Motion Picture Soundtrack is the soundtrack album to the 2017 film Beauty and the Beast. The album, largely based on material from Disney's 1991 animated version, features songs and instrumental score composed by Alan Menken with lyrics by Howard Ashman and three new songs composed by Menken with lyrics by Tim Rice. The soundtrack album was released by Walt Disney Records on March 10, 2017. ↑ Khatchatourian, Maane; Khatchatourian, Maane (March 6, 2017). "Watch Ariana Grande and John Legend's 'Beauty and the Beast' Music Video". 1 2 Grande, Ariana (January 10, 2017). "鹿". Instagram. Retrieved January 11, 2017. 1 2 Nessif, Bruna (January 10, 2017). "It Looks Like Ariana Grande and John Legend Are Teaming Up for a Beauty and the Beast Duet". E!. Retrieved January 11, 2017. ↑ Reed, Ryan; Reed, Ryan (March 6, 2017). "Watch Ariana Grande, John Legend Cover 'Beauty and the Beast' Theme". ↑ "Watch the 'Beauty and the Beast' Theme Song Music Video". Time. 1 2 "Bomb Threat Forces Jet to Land in Las Vegas". Los Angeles Times. Los Angeles Times. October 6, 1990. Retrieved June 19, 2015. 1 2 3 Greenberger, Robert (October 2, 2010). "Alan Menken Revisits 'Beauty & The Beast'". ComicMix. Retrieved April 24, 2015. ↑ Tan, Corrie (March 24, 2015). 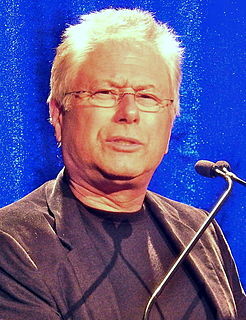 "Alan Menken: Q&A with the music maestro behind Disney's Beauty And The Beast". The Straight Times. Singapore Press Holdings Ltd. Retrieved May 24, 2015. 1 2 3 Young, John (February 22, 2012). "Oscars 1992: Producer Don Hahn on how 'Beauty and the Beast' changed animation". Entertainment Weekly. Entertainment Weekly Inc. Archived from the original on January 24, 2016. Retrieved March 23, 2013. ↑ Angela Lansbury On Playing Mrs. Potts In BEAUTY AND THE BEAST. American Film Institute. American Film Institute. April 30, 2009. 1 2 Hischak, Thomas S. (2011). Disney Voice Actors: A Biographical Dictionary. United States: McFarland. pp. 121–122. ISBN 9780786486946. ↑ Brent, Dodge (2010). From Screen to Theme: A Guide to Disney Animated Film References Found Throughout the Walt Disney World(r) Resort. United States: Dog Ear Publishing. p. 139. ISBN 9781608444083. 1 2 3 Gostin, Nicki (January 11, 2012). "Angela Lansbury Revisits Disney Classic 'Beauty And The Beast'". The Huffington Post. TheHuffingtonPost.com, Inc. Retrieved March 23, 2013. ↑ "Toledo Blade". Toledo Blade. November 29, 1991. Retrieved June 5, 2015. 1 2 3 Flinner, Amanda (June 27, 2014). "Part of Their World: The Stories and Songs of 13 Disney Princesses". Songfacts. Songfacts, LLC. Retrieved May 25, 2015. ↑ Sands, Jez (October 25, 2010). "Beauty And The Beast: Paige O'Hara Interview". On the Box. OntheBox.com. Retrieved March 23, 2013. 1 2 "Top 25 Disney Songs". IGN. August 9, 2013. Retrieved May 28, 2015. 1 2 Hill, Jim (September 1, 2010). ""Tale as Old as Time" may make you fall in love with Disney's "Beauty and the Beast" all over again". Jim Hill Media. Retrieved May 25, 2015. ↑ Solomon, Charles (2010). Tale as Old as Time: The Art and Making of Beauty and the Beast. United States: Disney Editions. ISBN 978-1423124818. 1 2 Galindo, Brian (July 15, 2013). "30 Things You Might Not Know About "Beauty And The Beast"". BuzzFeed. BuzzFeed Inc. Retrieved May 25, 2015. 1 2 Conradt, Stacy (June 11, 2016). "15 Things You Might Not Know About 'Beauty and the Beast'". Mental Floss. Mental Floss, Inc. Retrieved May 25, 2015. 1 2 Champion, Lindsay (March 1, 2014). "From 'A Whole New World' to 'Zip-a-Dee-Doo-Dah': We Rank Every Oscar-Winning Disney Song!". Broadway.com. BROADWAY.COM. Retrieved June 17, 2015. ↑ "Beauty & Beast". The Toledo Blade. November 29, 1991. Retrieved June 10, 2015. ↑ "'Beauty and the Beast' Composer Alan Menken on Rediscovering Lost Lyrics and Why He's "Shutting Up" About That Gay Character". The Hollywood Reporter. Retrieved March 25, 2017. 1 2 3 4 5 6 Ahi, Mehruss Jon; Karaoghlanian, Armen (2012). "Beauty and the Beast (1991) Director: Gary Trousdale and Kirk Wise (Scene: 01:03:07 - 01:05:40)". Interiors. Interiors. Archived from the original on June 22, 2015. Retrieved June 1, 2015. 1 2 Kehr, Dave (November 22, 1991). "Tame `Beast` – Disney Film Falls Short Of The Classics". Chicago Tribune. Retrieved May 26, 2015. ↑ Beth Fowler performing Beauty and the Beast. Seth Speaks. SiriusXM's Studios. April 17, 2012. ↑ Galle, Deborah (December 11, 1994). "The Belle of the ice". The Beaver County Times. The Times/Beaver Newspaper, Inc. Retrieved June 22, 2015. 1 2 3 Monaco, Rachael (July 16, 2015). "Top 5 best song lyrics from the 1991 'Beauty and the Beast' movie soundtrack". AXS. AXS. Retrieved June 11, 2016. 1 2 3 Schwarzbaum, Lisa (January 12, 2012). "Beauty and the Beast 3D (2012)". Entertainment Weekly. Entertainment Weekly Inc. Retrieved March 23, 2013. ↑ "Greatest Disney Movie Songs". Femalefirst. FemaleFirst Ltd. May 1, 2012. Retrieved June 26, 2015. 1 2 3 Gibron, Bill (October 5, 2010). "How 'Beauty and the Beast' Changed Oscar's Best Picture Race Forever". PopMatters. PopMatters Media, Inc. Retrieved June 22, 2015. 1 2 Jennie, Punter (January 13, 2012). "Beauty and the Beast 3D: Disney classic gets added pop". The Globe and Mail. The Globe and Mail Inc. Retrieved May 26, 2015. ↑ Ellison, Estefan (1991). "Beauty and the Beast". Estefan Films. Retrieved June 1, 2015. ↑ Anthony, Ross (March 17, 2004). "Interview with Beauty & the Beast Director – Kirk Wise". Ross Anthony. Retrieved May 27, 2015. 1 2 3 4 5 Tracy, Joe (2001). "An Inside Look at the Original Beauty and the Beast". Digital Media FX. Digital Media FX. Retrieved June 1, 2015. ↑ Apodaca, Anthony A.; Gritz, Larry; Barzel, Ronen (2000). Advanced RenderMan: Creating CGI for Motion Pictures. United States: Morgan Kaufmann. p. 544. ISBN 9781558606180. 1 2 Anthony, Ross (February 2002). "Interview: 'Beauty and the Beast' Director Kirk Wise". Big Movie Zone. Big Movie Zone. Retrieved June 3, 2015. ↑ Moore, Roger (May 24, 2002). "The `Spirit' Of Jeffrey Katzenberg". Orlando Sentinel. Retrieved June 5, 2016. 1 2 3 4 Oscars (May 11, 2016). "25th Anniversary of Beauty and The Beast: The Ballroom" – via YouTube. ↑ Hall, Sheldon (2010). Epics, Spectacles, and Blockbusters: A Hollywood History. United States: Wayne State University Press. p. 255. ISBN 9780814330081. ↑ Geraghty, Lincoln (2011). Directory of World Cinema: American Hollywood. United States: Intellect Books. p. 232. ISBN 9781841504155. 1 2 Sickels, Robert (2011). American Film in the Digital Age. United States: ABC-CLIO. p. 95. ISBN 9780275998622. ↑ "7 Big Screen Moments That Are Still A Feast For The Eyes". CinemaBlend. Cinema Blend LLC. January 13, 2012. Retrieved June 1, 2015. ↑ Fine, Marshall (January 11, 2012). "'Beauty and the Beast 3D': Classic that already has dimension". Hollywood & Fine. hollywoodandfine.com. Retrieved May 26, 2015. ↑ Rossing, Thomas D; Chiaverina, Christopher J (1999). Light Science: Physics and the Visual Arts. Germany: Springer Science & Business Media. p. 258. ISBN 9780387988276. ↑ Rocio, Maegan (November 27, 2012). "Alum dispels popular myth". The Baylor Lariat. Retrieved June 3, 2015. ↑ Greenlee, Graham (2002). "Beauty and the Beast". The Digital Bits. The Digital Bits, Inc. Retrieved June 18, 2015. ↑ Robb, Brian J (2014). A Brief History of Walt Disney. United States: Little, Brown Book Group. ISBN 9781472110725. 1 2 Pallant, Chris (2011). Demystifying Disney: A History of Disney Feature Animation. United States: Bloomsbury Publishing USA. p. 98. ISBN 9781441150462. ↑ Course Notes: Siggraph 1995, 22nd International Conference on Computer Graphics and Interactive Techniques, Los Angeles Convention Center, Los Angeles, California, USA, Conference, 6-11 August 1995, Exhibition, 8-10 August 1995, Volume 4. United States: Association for Computing Machinery. 1995. p. 127. 1 2 3 Berardinelli, James. "Beauty and the Beast (United States, 1991)". ReelViews. James Berardinelli. Retrieved May 27, 2015. ↑ O'Hailey, Tina (2014). Hybrid Animation: Integrating 2D and 3D Assets. United States: CRC Press. ISBN 9781317965022. 1 2 3 Chong, Andrew; McNamara, Andrew (2008). Basics Animation 02: Digital Animation. United Kingdom: AVA Publishing. pp. 84–87. ISBN 9782940373567. 1 2 3 "Beauty and the Beast 3D". CinemaReview.com. 2. Retrieved June 1, 2015. ↑ Wegner, Timothy (1992). Image Lab. United States: Waite Group Press. p. 10. ISBN 9781878739117. ↑ Anderson, Jeffrey M (1991). "Beauty and the Beast (1991)". Combustible Celluloid. Jeffrey M. Anderson. Retrieved May 27, 2015. ↑ Osmond, Andrew (2010). 100 Animated Feature Films. United Kingdom: Palgrave Macmillan. p. 43. ISBN 9781844575633. ↑ Green, Dave (September 1992). "BEAUTY AND THE BEAST: WORK IN PROGRESS". Laser Rot. Retrieved June 5, 2016. 1 2 Ferguson, Sean (October 7, 2010). "A Talk with Beauty and the Beast's Glen Keane". Why so Blue?. WhySoBlu.com. Retrieved June 4, 2015. ↑ Churchill, Alexandra. "50 Epic Things You Didn't Know About Disney Princesses". YourTango. Tango Media Corporation. Retrieved June 5, 2015. ↑ Solomon, Charles (December 31, 2001). "But It Was Big Enough Already". Los Angeles Times. Los Angeles Times. Retrieved May 27, 2015. ↑ Alter, Ethan (2014). Film Firsts: The 25 Movies That Created Contemporary American Cinema. United States: ABC-CLIO. p. 121. ISBN 9781440801884. ↑ "25th Anniversary of Beauty and The Beast: The Ballroom". YouTube. Oscars. May 11, 2016. Retrieved June 6, 2016. ↑ Alexander, Julia (February 9, 2015). "Shall We Dance? : The Best Musical Sequences on Film". Movie Mezzanine. Movie Mezzanine. Retrieved June 25, 2015. 1 2 Sito, Tom (2013). Moving Innovation: A History of Computer Animation. United States: MIT Press. p. 232. ISBN 9780262019095. ↑ "The Most Important Movies of All Time: Beauty and the Beast". IGN. Ziff Davis, LLC. August 9, 2013. Retrieved June 1, 2015. ↑ Josh, Larsen (1991). "Beauty and the Beast". Larsen on Film. J. Larsen. Retrieved April 26, 2015. ↑ McLeroy, Leigh (2010). The Beautiful Ache. United States: Lucid Books. ISBN 9781935909002. ↑ Matthew Thomas, Cook (2007). A 3-dimensional Modeling System Inspired by the Cognitive Process of Sketching. United States: ProQuest. p. 139. ISBN 9780549144847. 1 2 3 Lucas, Chris (February 11, 2015). "Ten Romantic Disney Moments (Frozen not included)". Moviepilot. Retrieved June 4, 2015. 1 2 3 "Top 100 Movie Moments". IGN. Ziff Davis, LLC . Retrieved June 8, 2016. 1 2 3 "Beauty and the Beast – By Angela Lansbury - Digital Sheet Music". Musicnotes.com. Walt Disney Music Publishing. Retrieved May 27, 2015. 1 2 "Beauty and the Beast (Original Motion Picture Soundtrack) – Various Artists". iTunes. Apple Inc. Retrieved May 29, 2015. ↑ Dequina, Michael (January 1, 2002). "Beauty and the Beast Large Format Special Edition (G)". The Movie Report. Michael Dequina. ↑ Canavese, Peter (1991). "Beauty and the Beast (1991)". Groucho Reviews. Peter Canavese. Retrieved May 26, 2015. ↑ Whitty, Stephen (January 13, 2012). "Back to 'The Beast': Disney tinkers with an old favorite". NJ.com. New Jersey On-Line LLC. Retrieved May 26, 2015. ↑ Ebert, Roger (November 22, 1991). "Beauty And The Beast". Roger Ebert. Ebert Digital LLC. Retrieved May 27, 2015. 1 2 Hischak, Thomas S; Robinson, Mark A (2009). The Disney Song Encyclopedia. United States: Scarecrow Press. p. 15. ISBN 9780810869387. 1 2 3 4 Zafar, Aylin (April 21, 2014). "The Definitive Ranking Of The 102 Best Animated Disney Songs". BuzzFeed. BuzzFeed Inc. Retrieved May 28, 2015. 1 2 3 Siskel, Gene (November 22, 1991). "`Beauty And The Beast` Has A Song In Its Heart". Chicago Tribune. Chicago Tribune. Retrieved May 26, 2015. 1 2 Cheang, Michael (June 12, 2014). "'The Lion King' turns 20: Celebrating Disney's greatest musical moments". The Star. Star Media Group Berhad. Retrieved June 26, 2015. 1 2 3 4 Unterberger, Andrew (February 19, 2015). "Every Oscar Winner for Best Original Song, Ranked". Spin. SpinMedia. Retrieved May 27, 2015. 1 2 3 "30 best Disney songs in history". GamesRadar. Future US, Inc. Retrieved May 28, 2015. ↑ "Beauty And The Beast". TV Guide. CBS Interactive Inc. 1991. Archived from the original on 3 March 2016. Retrieved 27 May 2015. ↑ Shaffer, R. L (October 18, 2010). "Beauty and the Beast: Three-Disc Diamond Edition Blu-ray Review". IGN. Ziff Davis, LLC . Retrieved May 26, 2015. ↑ Dixon, Wheeler W (2000). Film Genre 2000: New Critical Essays. United States: SUNY Press. ISBN 9780791445143. 1 2 3 Cole, Jake (October 10, 2010). "Not Just Movies". Not Just Movies. Jake Cole. Retrieved June 22, 2015. ↑ Verhoeven, Beatrice (November 18, 2016). "20 Facts You Didn't Know About 1991's 'Beauty and the Beast' for 25th Anniversary (Photos)". The Wrap. Retrieved January 6, 2016. ↑ Block, Tara (June 18, 2015). "Feel the Love Tonight With This Romantic Disney Playlist". PopSugar. POPSUGAR, Inc. Retrieved June 25, 2015. ↑ "Fall in Love with 30 Disney Love Songs". Musicnotes.com Blog. Musicnotes, Inc. February 12, 2010. Retrieved June 17, 2015. ↑ Smith, Damon (March 5, 2012). "FILM REVIEW: Beauty and the Beast". Chichester Observer. Johnston Publishing Ltd. Retrieved March 23, 2013. ↑ Williams, Christa. ""Beauty and the Beast" is DA BOMB!". Debbie Twyman and Craig Whitney. Retrieved June 1, 2015. ↑ Brooks, Linda Ruth (2010). I'm Not Broken, I'm Just Different. United Kingdom: Linda Ruth Brooks. ISBN 9780646529233. ↑ "Review: Beauty and the Beast 3D". JoBlo. JoBlo Media Inc. January 13, 2012. Retrieved March 23, 2013. ↑ "Beauty and the Beast by Celine Dion". Songfacts. Songfacts, LLC. Retrieved May 25, 2015. 1 2 Osmanski, Stephanie. "M's Ultimate List: Top 20 Disney Songs of All Time". M. Retrieved May 28, 2015. ↑ Ayres, Brenda (2003). The Emperor's Old Groove: Decolonizing Disney's Magic Kingdom. United States: P. Lang. p. 86. ISBN 9780820463636. ↑ "Beauty and the Beast". 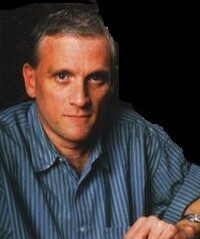 Howard Ashman. Shoptalk Ltd. Archived from the original on March 12, 2017. Retrieved May 24, 2015. ↑ Griswold, Jerry (2004). The Meanings of "Beauty and the Beast": A Handbook. Canada: Broadview Press. p. 252. ISBN 9781551115634. ↑ Porto, Lucía Loureiro. The Translation of the Songs in Disney's "Beauty and the Beast": an example of Manipulation (PDF). p. 134. Archived from the original (PDF) on March 27, 2016. Retrieved August 4, 2015. ↑ Seibert, Perry (1991). "Beauty and the Beast (1991) – Review by Perry Seibert". AllMovie. All Media Network, LLC. Retrieved August 7, 2015. ↑ Rawden, Mack (November 25, 2013). "10 Wonderful Disney Songs That Do Not Get Enough Credit". CINEMABLEND. Cinema Blend LLC. Retrieved August 5, 2015. ...let's give some love to great Disney songs that aren't constantly praised like 'Beauty & The Beast'. ↑ Maslin, Janet (November 13, 1991). "Beauty and the Beast (1991)". The New York Times. The New York Times Company. Retrieved September 12, 2012. ↑ "Beauty and the Beast". Beliefnet. Beliefnet, Inc. 2012. Archived from the original on June 26, 2015. Retrieved May 26, 2015. ↑ Hinson, Hal (November 22, 1991). "'Beauty and the Beast'". The Washington Post. The Washington Post Company. Retrieved May 27, 2015. ↑ Quinn, Anthony (May 4, 2012). "The Independent". Beauty and the Beast 3D (U). Retrieved September 14, 2012. ↑ Hicks, Chris (December 28, 2001). "Film review: Beauty and the Beast". Deseret News. Retrieved May 27, 2015. ↑ Brew, Simon (November 4, 2010). "Looking back at Disney's Beauty And The Beast". Den of Geek. Dennis Publishing Limited . Retrieved June 1, 2015. ↑ Christley, Jamie N (January 11, 2012). "Beauty and the Beast 3D". Slant Magazine. Slant Magazine. Retrieved May 26, 2015. ↑ Gibron, Bill (September 27, 2011). "The 10 Greatest Disney Animated Films of All Time". PopMatters. PopMatters.com. Retrieved May 19, 2013. ↑ Lumenick, Lou (December 31, 2001). "A REAL 'BEAUTY'". New York Post. NYP Holdings, Inc. Retrieved May 27, 2015. 1 2 Franich, Darren (January 16, 2014). "The 10 most high-powered Oscar races of the last 25 years". Entertainment Weekly. Entertainment Weekly Inc. Retrieved June 25, 2015. ↑ Wells, Paul (2002). Animation: Genre and Authorship. United States: Wallflower Press. p. 132. ISBN 9781903364208. ↑ Earnshaw, Helen (September 29, 2011). "Best of Disney: Beauty And The Beast". FemaleFirst. FemaleFirst Ltd. Retrieved June 2, 2015. 1 2 Maslin, Janet (September 29, 1991). "Review/Critic's Notebook; The Inner Workings Of the Animator's Art". The New York Times. The New York Times Company. Retrieved June 4, 2016. ↑ Haithman, Diane (August 17, 1991). "Unfinished 'Beauty' to Make Splashy Debut : Movies: The New York Film Festival will premiere Disney's animated work-in-progress on Sept. 29". Los Angeles Times. Los Angeles Times. Retrieved June 5, 2016. ↑ Russel, Candice (November 22, 1991). "Timeless Tale Taps Deep Emotions". The Seattle Times. SunSentinel. Retrieved May 26, 2015. ↑ Parkinson, David (2012). "Beauty and the Beast". Radio Times. Immediate Media Company Limited. Retrieved May 26, 2015. ↑ Smith, Grady (October 4, 2011). "'Beauty and the Beast,' 'The Little Mermaid,' 'Finding Nemo,' 'Monsters, Inc.' get 3-D re-releases". Entertainment Weekly. Entertainment Weekly Inc.
1 2 Ellingson, Annie (January 12, 2012). "Beauty and the Beast 3D". Paste. Paste Media Group. Retrieved May 26, 2015. 1 2 Scott, Mike (January 13, 2012). "'Beauty and the Beast 3-D' review: Disney's 'tale as old as time' showing its age". Nola.com. NOLA Media Group. Retrieved May 26, 2015. ↑ Berry, Joanna (February 16, 2012). "Beauty and the Beast - 3D: a work of art and still a joyous musical". The National. Retrieved June 1, 2015. ↑ Gilchrist, Todd (12 January 2012). "Beauty and the Beast 3D". Boxoffice. BoxOffice® Media, LLC. Archived from the original on 3 November 2014. Retrieved 26 May 2015. ↑ Hicks, Chris (October 7, 2010). "DVD review: Remastered 'Beast' is a beauty". Deseret News. Retrieved June 2, 2015. ↑ "Dangerous Rhythm: Why Movie Musicals Matter". google.com.au. ↑ "The Studios After the Studios". google.com.au. ↑ "Golden Globe Awards for 'Beauty and the Beast'". Golden Globes. Hollywood Foreign Press Association. Retrieved June 9, 2016. 1 2 3 "THE 64TH ACADEMY AWARDS | 1992 – WINNERS & NOMINEES – MUSIC (ORIGINAL SONG)". The Academy of Motion Picture Arts and Sciences. Academy of Motion Picture Arts and Sciences. Retrieved June 9, 2016. ↑ Sporkin, Elizabeth (December 16, 1991). "Sadness at the Heart of a Hit". People. Time Inc. Retrieved November 20, 2012. ↑ Blau, Eleanor (March 15, 1991). "Howard Ashman Is Dead at 40; Writer of 'Little Shop of Horrors'". The New York Times. The New York Times Company. Retrieved November 20, 2012. ↑ Corliss, Richard (January 12, 2012). "Beauty and the Beast in 3-D: Still an Enchantment". Time. Time Inc. Retrieved November 18, 2012. 1 2 3 Cromelin, Richard; Dennis Hunt (January 8, 1993). "Clapton Plugs Into Grammy Glory : Nominees: The British guitarist's acoustic 'Unplugged' yields nine nominations. 'Beauty and the Beast' follows with eight". The Los Angeles Times. Los Angeles Times. Retrieved November 18, 2012. 1 2 "Past Winners Search | GRAMMY.com". Grammy.com. The Recording Academy. Retrieved September 30, 2012. ↑ Batdorf, Rodney. "Galway at the Movies - James Galway - Songs, Reviews, Credits, Awards - AllMusic". AllMusic. ↑ "Beauty and the Beast". November 22, 1991 – via IMDb. ↑ Esterbrook, John (June 23, 2004). "The 100 Best Movie Songs". CBS News. CBS Interactive Inc. Retrieved June 17, 2015. ↑ "100 Greatest Songs in American Movies 100 YEARS...100 SONGS by American Film Institute (AFI)". Filmsite.org. American Movie Classics Company LLC. Retrieved June 17, 2015. ↑ Newman, Heather (February 5, 2014). "The Definitive Ranking Of Disney Love Songs". BuzzFeed. BuzzFeed, Inc. Retrieved June 17, 2015. ↑ James, Nicole (April 23, 2014). "11 Highest-Charting Songs From Disney Movies". Fuse. FUSE NETWORKS LLC. Retrieved May 29, 2015. 1 2 Benjamin, Jeff (February 8, 2013). "Top 20 Disney Songs by Pop Stars – Celine Dion and Peabo Bryson's "Beauty and the Beast" from 'Beauty and the Beast'". Fuse. FUSE NETWORKS LLC. Retrieved May 29, 2015. ↑ Winning, Josh (December 1, 2011). "50 Greatest Disney Movie Moments". Total Film. Future Publishing Limited. Retrieved August 5, 2013. 1 2 Birch, Gaye (June 8, 2010). "Top 12 most memorable dance scenes in films". Den of Geek. Dennis Publishing Limited . Retrieved June 17, 2015. ↑ Sheehan, Kim (August 3, 2012). "50 Greatest Movie Dance Sequences". GamesRadar. Future US, Inc. Retrieved June 25, 2015. ↑ ohnotheydidnt. "Oh No They Didn't! - The Top 25 Disney Songs of All Time". livejournal.com. ↑ "Top 20 Disney songs ever from Aladdin to Toy Story - Metro News". Metro. ↑ "Celine Dion* - All The Way... A Decade Of Song". 1 2 3 4 5 6 Maslin, Janet (November 24, 1991). "FILM; Target: Boomers and Their Babies". The New York Times. The New York Times Company. Retrieved June 4, 2016. 1 2 "Beauty and the Beast Facts". Magical Kingdoms. Magical Kingdoms. Retrieved May 25, 2015. 1 2 Lammers, Tim (October 5, 2010). "Menken Still Enchanted By Beauty Of 'Beast'". Internet Broadcasting. Internet Broadcasting. Retrieved March 23, 2013. ↑ "Various – Beauty And The Beast // The Little Mermaid". Discogs. Discogs. Retrieved August 5, 2015. ↑ Meet Paige O'Hara: Belle of Beauty and The Beast Q&A. Animate Miami. Florida Supercon. November 2014. 1 2 3 4 Beaunoyer, Jean (2004). René Angelil: The Making of Céline Dion: The Unauthorized Biography. United States: Dundurn. pp. 254–259. ISBN 9781459714779. 1 2 3 Glatzer, Jenna (2005). Celine Dion: For Keeps. United States: Andrews McMeel Publishing. pp. 58–60. ISBN 9780740755590. 1 2 Beauregard, Sylvain (2002). Passion Celine Dion the Book: The Ultimate Guide for the Fan. United States: Trafford Publishing. p. 11. ISBN 9781553692126. ↑ Cater, Evan (1986). "James Horner – An American Tail". AllMusic. All Media Network, LLC. Retrieved August 8, 2015. ↑ Kawashima, Dale. "Top A&R Exec Jay Landers Has Great Success With Barbra Streisand, Josh Groban and Hilary Duff". Songwriter Universe. SongwriterUniverse.com. Retrieved June 26, 2015. 1 2 "Celine Dion* - Celine Dion Images". Discogs. Discogs. Retrieved June 3, 2016. 1 2 Wood, Matt (2017). "Celine Dion Returning To Beauty And The Beast, This Time With A Different Song". CinemaBlend. Retrieved March 8, 2017. 1 2 "Céline Dion & Peabo Bryson - Beauty And The Beast". Discogs. Discogs. Retrieved June 4, 2016. ↑ Hobart, Tavia (1991). "Disney/Alan Menken – Beauty and the Beast". AllMusic. All Media Network, LLC. Retrieved May 29, 2015. 1 2 "Beauty and the Beast – By Celine Dion - Digital Sheet Music". Musicnotes.com. Walt Disney Music Publishing. Retrieved May 27, 2015. 1 2 3 "Beauty and the Beast". Filmtracks.com. Filmtracks Publications. Retrieved October 14, 2014. ↑ "Peabo Bryson – Through The Fire". Discogs. Discogs. Retrieved June 3, 2016. ↑ Covel, Casey (January 12, 2015). "Review: Beauty and the Beast Official Soundtrack". Geeks Under Grace. Retrieved May 27, 2015. 1 2 Lambert, Molly (February 19, 2013). "Counting Down the Top 10 in ... KIDS MUSIC!". Grantland. ESPN Internet Ventures. Retrieved June 26, 2015. 1 2 Horan, Molly (July 27, 2015). "The Top 10 Greatest Disney Cover Songs". Refinery29. REFINERY29. Retrieved March 3, 2016. 1 2 Webber, Brian (February 17, 1994). "Celine Dion The Colour of My Love (Epic) (STAR)". Chicago Tribune. The Chicago Tribune. Retrieved July 11, 2013. ↑ Fuller, Becky (January 19, 2017). "Beauty and the Beast: Celine Dion Recording New Song". Screen Rant. Retrieved March 8, 2017. Though it's fair to say that most prefer the film version of the song, Dion is still well remembered for her version, and many were disappointed to learn that she will not be performing the titular track for Disney's live-action Beauty and the Beast. ↑ Berger, Arion (April 17, 1992). "Celine Dion (1992)". Entertainment Weekly. Entertainment Weekly Inc. Retrieved November 21, 2012. 1 2 Tan, Irving (April 10, 2011). "Soundtrack (Disney) – Beauty and the Beast". Sputnikmusic. Sputnikmusic.com. Retrieved May 27, 2015. ↑ Lin, Kristian (February 1, 2012). "Film Shorts". Fort Worth Weekly. Fort Worth Weekly. Retrieved June 26, 2015. ↑ Caffrey, Dan (September 30, 2010). "Break Yo' TV: "The NeverEnding Story"". Consequence of Sound. Consequence of Sound. Retrieved June 26, 2015. ↑ McEachran, Leigh (January 9, 2012). "Will Celine Dion be even more popular in 2012?". Leigh McEachran. North Stars, Yahoo! Canada Co. Retrieved November 18, 2012. ↑ "Celine Dion". Sony Music Entertainment. Sony Music. Archived from the original on November 14, 2012. Retrieved September 30, 2012. 1 2 Rule, Sheila (January 8, 1993). "Clapton Is Nominated For 9 Grammy Awards". The New York Times. The New York Times Company. Retrieved November 18, 2012. ↑ Wilker, Deborah (February 25, 1993). "Clapton Rocks `N` Rolls To Fistful Of Grammys `beauty And The Beast` Waltzes To 5 Trophies". Sun-Sentinel. Retrieved November 18, 2012. ↑ "Yearly Summary | The JUNO Award". Juno Awards. The Canadian Academy of Recording Arts and Sciences. Archived from the original on February 26, 2014. Retrieved September 30, 2012. ↑ "ASCAP Film and Television Music Awards: 1993". IMDb . Retrieved February 15, 2014. ↑ "Warren, 'Best' tapped tops at ASCAP gala". Variety Media, LLC. May 25, 1993. Retrieved February 15, 2014. ↑ Monaco, Rachael (April 20, 2015). "Celine Dion: Top five song lyrics or verses". AXS. Archived from the original on August 17, 2015. Retrieved March 8, 2017. 1 2 "Hits of the World" (PDF). Billboard . March 28, 1992. p. 38. Retrieved May 18, 2015. ↑ Jasen, David A (2013). A Century of American Popular Music. United Kingdom: Routledge. p. 19. ISBN 9781135352646. ↑ Beauty And The Beast @ Oscars 1992. YouTube. July 3, 2009. ↑ Celine Dion & Peabo Bryson - Beauty and the Beast (Grammy Awa.rm. YouTube. September 8, 2010. ↑ Celine Dion & Peabo Bryson, "Beauty And The Beast" (Live At The World Music Awards 1992). YouTube. September 11, 2010. ↑ Celine Dion & Peabo Bryson - Beauty and The Beast (LIVE! 1992). YouTube. November 6, 2009. ↑ Celine Dion & Peabo Bryson - Beauty & The Beast (Wogan show 19/3/15). YouTube. March 20, 2015. ↑ Céline Dion & Peabo Bryson - Beauty and The Beast ( The Tonight Show ). YouTube. August 12, 2012. ↑ Céline Dion and Peabo Bryson - Beauty and the Beast (Live, Top of the Pops 2). YouTube. June 3, 2013. ↑ Celine Dion - Beauty and The Beast (Duet with Peabo Bryson - Oprah in Disneyland 1996). YouTube. May 29, 2011. ↑ "Watch Angela Lansbury Sing Beauty And The Beast To The Total Surprise Of Disney Fans - CINEMABLEND". CINEMABLEND. September 19, 2016. Retrieved October 13, 2016. ↑ The Mormon Tabernacle Choir: The Joy of Christmas - With Angela Lansbury (Motion picture). United States: KBYU Provo. 2002. ↑ Celine Dion & Peabo Bryson ( Beauty And The Beast / Japan 1994 ). YouTube. October 7, 2014. ↑ Celine Dion Beauty And The Beast Live Colour Of My Love DVD. YouTube. January 30, 2009. ↑ Celine Dion - Beauty And The Beast (Duet with Tommy Körberg). YouTube. January 15, 2012. ↑ BRIAN MCKNIGHT FT CELINE DION la belle et la bête beauty and the beast. YouTube. November 11, 2009. ↑ Beauty and the Beast - Celine Dion Live in Memphis. YouTube. May 6, 2007. ↑ Celine Dion & Maurice Davis - Beauty And The Beast (Live For Our Children) 1992. YouTube. December 10, 2014. ↑ Celine Dion & Barnev Valsaint - Beauty & the Beast Live Caesars Palace 27/02/13. YouTube. March 22, 2013. ↑ Celine Dion and Rene Froger " Beauty And The Beast ". YouTube. February 23, 2012. ↑ Beauty & The Beast - COKO & Peabo Bryson. YouTube. March 6, 2008. ↑ Beauty And The Beast - Regine Velasquez and Peabo Bryson. YouTube. February 10, 2014. ↑ "Australian-charts.com – Céline Dion and Peabo Bryson – Beauty and the Beast". ARIA Top 50 Singles. Retrieved September 6, 2014. ↑ "Ultratop.be – Céline Dion and Peabo Bryson – Beauty and the Beast" (in Dutch). Ultratop 50. Retrieved September 6, 2014. ↑ "Top RPM Singles: Issue 2048." RPM . Library and Archives Canada. Retrieved September 3, 2014. ↑ "Top RPM Adult Contemporary: Issue 2037." RPM . Library and Archives Canada. Retrieved September 3, 2014. ↑ "Hits of the World" (PDF). Billboard. June 6, 1992. Retrieved September 3, 2014. ↑ "The Irish Charts – Search Results – Beauty and the Beast". Irish Singles Chart. Retrieved September 4, 2014. ↑ セリーヌ・ディオンのシングル売り上げランキング (in Japanese). Oricon. Archived from the original on October 25, 2014. Retrieved September 6, 2014. ↑ "Nederlandse Top 40 – week 29, 1992" (in Dutch). Dutch Top 40 Retrieved September 4, 2014. ↑ "Dutchcharts.nl – Céline Dion and Peabo Bryson – Beauty and the Beast" (in Dutch). Single Top 100. Retrieved September 6, 2014. ↑ "Charts.nz – Céline Dion and Peabo Bryson – Beauty and the Beast". Top 40 Singles. Retrieved September 6, 2014. ↑ "Palmarès de la chanson anglophone et allophone au Québec" (in French). BAnQ . Retrieved March 17, 2019. ↑ "Official Singles Chart Top 100". Official Charts Company. Retrieved September 4, 2014. ↑ "Celine Dion Chart History (Hot 100)". Billboard. Retrieved September 6, 2014. ↑ "Celine Dion Chart History (Adult Contemporary)". Billboard. Retrieved September 6, 2014. ↑ Gavin Ryan (2011). Australia's Music Charts 1988-2010. Mt. Martha, VIC, Australia: Moonlight Publishing. ↑ "The RPM Top 100 Adult Contemporary Tracks of 1992". RPM. December 19, 1992. Retrieved September 6, 2014. ↑ "Jaarlijsten 1992" (in Dutch). Dutch Top 40. Retrieved September 29, 2014. ↑ "Top Selling Singles of 1992". Recorded Music NZ . Retrieved May 7, 2015. 1 2 "The Year in Music: 1992" (PDF). Billboard. December 26, 1992. Retrieved May 16, 2015. ↑ "ビューティ・アンド・ザ・ビースト～美女と野獣 92.4.8 (SME)" (PDF) (in Japanese). RIAJ . Retrieved August 5, 2014. ↑ "American single certifications – Celine Dion – Beauty and the Beast". Recording Industry Association of America . Retrieved October 11, 2014. If necessary, click Advanced, then click Format, then select Single, then click SEARCH. ↑ Gary Trust (April 8, 2012). "Ask Billboard: Does Lionel Richie Make Billboard Chart History?". Billboard. Retrieved September 11, 2014. 1 2 "Celine Dion and Peabo Bryson – Beauty and the Beast". Discogs . Retrieved February 22, 2017. ↑ Ashley Iasimone. "Ariana Grande & John Legend Debut 'Beauty and the Beast' Video: Watch". Billboard. Retrieved April 10, 2017. ↑ "Jennifer Thomas' Awe-Inspiring Rendition of "Beauty and the Beast" - Mormon Music". Mormon Music. March 15, 2017. Retrieved April 10, 2017. ↑ "ARIA Chart Watch #414". auspOp. April 1, 2017. Retrieved April 10, 2017. ↑ "Ultratop.be – Ariana Grande / John Legend – Beauty and the Beast" (in Dutch). Ultratip. Retrieved April 10, 2017. ↑ "Ariana Grande Chart History (Canadian Hot 100)". Billboard. Retrieved April 10, 2017. ↑ "Lescharts.com – Ariana Grande / John Legend – Beauty and the Beast" (in French). Les classement single. Retrieved April 11, 2017. ↑ "Irish-charts.com – Discography Ariana Grande". Irish Singles Chart. Retrieved April 10, 2017. ↑ "Ariana Grande Chart History (Japan Hot 100)". Billboard. Retrieved April 25, 2017. ↑ "Billboard Japan Hot Overseas" (in Japanese). Billboard Japan. May 1, 2017. Retrieved April 25, 2017. ↑ "NZ Heatseekers Singles Chart". Recorded Music NZ. February 13, 2017. Retrieved April 10, 2017. ↑ "BillboardPH Hot 100". Billboard Philippines . June 19, 2017. Retrieved June 19, 2017. ↑ "Portuguesecharts.com – Ariana Grande / John Legend – Beauty And The Beast". AFP Top 100 Singles. Retrieved May 25, 2018. ↑ "Official Scottish Singles Sales Chart Top 100". Official Charts Company. Retrieved April 10, 2017. ↑ "2017년 12주차 Digital Chart". Gaon Chart . Retrieved September 18, 2017. ↑ "Gaon Digital Chart – Issue date: 2017.19.03 – 2017.25.03". Gaon Chart . Retrieved April 10, 2017. ↑ "Official Singles Chart Top 100". Official Charts Company. Retrieved April 10, 2017. ↑ "Ariana Grande Chart History (Hot 100)". Billboard. Retrieved April 10, 2017. ↑ "Kid Digital Songs : Feb 25, 2015". Billboard. Retrieved April 10, 2017. ↑ "Ariana Grande Chart History (Adult Contemporary)". Billboard. Retrieved April 18, 2017. ↑ "Brazilian single certifications – Ariana Grande" (in Portuguese). Associação Brasileira dos Produtores de Discos . Retrieved December 10, 2018. ↑ ゴールドディスク認定　一般社団法人 日本レコード協会 (in Japanese). Recording Industry Association of Japan . Retrieved November 10, 2017. Note: To retrieve song, 1) type in "美女と野獣" in the box "作品名", 2) type in "アリアナ・グランデ、ジョン・レジェンド" in the box "アーティスト", 3) click "検索"
↑ "British single certifications – Ariana Grande & John Legend". British Phonographic Industry . Retrieved March 23, 2019. Select singles in the Format field. Select Silver in the Certification field. Type Ariana Grande & John Legend in the "Search BPI Awards" field and then press Enter. ↑ "American single certifications – Ariana Grande & John Legend – Beauty and the Beast". Recording Industry Association of America . Retrieved November 10, 2017. If necessary, click Advanced, then click Format, then select Single, then click SEARCH. ↑ Friedwald, Will (2010). A Biographical Guide to the Great Jazz and Pop Singers. United States: Knopf Doubleday Publishing Group. p. 115. ISBN 9780307379894. ↑ "Dream with Me – Paige O'Hara". AllMusic. All Media Network, LLC. 1998. Retrieved June 18, 2015. ↑ "1999 Children's Music Reviews". KidzMusic. KidzMusic.com. February 1999. Archived from the original on June 19, 2015. Retrieved June 19, 2015. ↑ Schorr, Melissa (November 24, 1998). "Paige O'Hara says 'Dream With Me'". Las Vegas Sun. Las Vegas Sun. Retrieved June 18, 2015. ↑ Verna, Paul (January 16, 1999). "Reviews & Previews". Billboard. Nielsen Business Media, Inc. p. 18. Retrieved June 19, 2015. ↑ "More Songs from Pooh Corner – Kenny Loggins". iTunes. Apple Inc. 2000. Retrieved August 9, 2015. ↑ "Disneymania – Disney". AllMusic. All Media Network, LLC. September 17, 2002. Retrieved June 16, 2015. ↑ "Beauty and the Beast: Platinum Edition". IGN. March 1, 2002. Retrieved June 18, 2015. ↑ Cedeno, Kelvin (October 23, 2002). "Beauty and the Beast: Platinum Edition DVD Review". DVDizzy.com. DVDizzy.com. Retrieved June 18, 2015. ↑ Jacobson, Colin (2001). "Beauty and the Beast (1991)". DVD Movie Guide. Retrieved June 18, 2015. ↑ Duca, Lauren (November 13, 2013). "10 Covers Of 'Beauty And The Beast' Classic 'Tale As Old As Time'". The Huffington Post. TheHuffingtonPost.com, Inc. Retrieved June 19, 2015. ↑ Clarke, Betty (November 15, 2002). "H and Claire: Another You, Another Me". The Guardian. Guardian News and Media Limited. Retrieved August 9, 2015. ↑ Owens, Thom (1996). "The Best of Country Sing the Best of Disney - Disney - Songs, Reviews, Credits, Awards - AllMusic". AllMusic. All Media Network, LLC. Retrieved August 9, 2015. 1 2 Wallace, Aaron (October 1, 2010). "Beauty and the Beast: Diamond Edition Blu-ray & DVD Review". DVDizzy.com. DVDizzy.com. ↑ Peter, Thomas (September 14, 2010). "Jordin Sparks Talks Times Square Billboards; Releases "Beauty and the Beast" Cover, Too". Playbill. Playbill, Inc. Retrieved June 18, 2015. ↑ "Jordin Sparks Does 'Beauty & The Beast'". Hollywire. Hollywire. 2010. Retrieved June 25, 2015. ↑ "Disney's "Beauty And The Beast" Diamond Edition Review And Giveaway". Disney Dreaming. DisneyDreaming.com. October 5, 2010. Archived from the original on June 18, 2015. Retrieved June 18, 2015. ↑ Gioia, Michael (July 5, 2011). "Performance Highlights from "A Capitol Fourth" Featuring Matthew Morrison, Kelli O'Hara, Jordin Sparks (Video)". Playbill. Playbill, Inc. Retrieved June 18, 2015. ↑ Frederick, Brittany (August 15, 2014). "'American Idol' star Jordin Sparks making moves in music and film". AXS. AXS. Retrieved June 19, 2015. ↑ "Various – Eurobeat Disney". Discogs. Discogs. 2000. Retrieved August 9, 2015. 1 2 Lewis, Hilary (June 19, 2015). "Watch 'Nashville' Stars Clare Bowen and Sam Palladio Sing "Beauty and the Beast"". The Hollywood Reporter. Retrieved June 19, 2015. ↑ Paulson, Dave (November 29, 2014). "Clare Bowen, Sam Palladio sing Disney tune for TV". The Tennessean. Retrieved June 19, 2015. ↑ Betts, Stephen L (December 16, 2014). "'Nashville' Stars Sam Palladio and Clare Bowen Do Broadway in ABC Special". Rolling Stone. Rolling Stone. Retrieved June 19, 2015. ↑ "Various Artists – We Love Disney". AllMusic. All Media Network, LLC. 2014. Retrieved August 10, 2015. ↑ "We Love Disney (Latino) by Vários Artistas on iTunes". ↑ Robinson, Mark A (2014). World of Musicals, The: An Encyclopedia of Stage, Screen, and Song. June 21, 2015: ABC-CLIO. p. 65. ISBN 9781440800979. ↑ Richards, David (April 19, 1994). "Review/Theater: Beauty and the Beast; Disney Does Broadway, Dancing Spoons and All". The New York Times. The New York Times Company. Retrieved June 4, 2016. ↑ "Beauty and the Beast: Opening Night Cast". Playbill Vault. Playbill, Inc. Archived from the original on June 23, 2015. Retrieved June 21, 2015. ↑ Fawthrop, Peter (1994). "Beauty and the Beast [Original Broadway Cast Recording] – Original Broadway Cast". AllMusic. All Media Network, LLC. Retrieved June 21, 2015. ↑ "Various Artists – Beauty and the Beast: The Broadway Musical". AllMusic. All Media Network, LLC. 1997. Retrieved June 21, 2015. ↑ Simon, John (March 2, 1994). "Hairy Fairy Tale". New York. New York Media, LLC. p. 72. Retrieved June 21, 2015. ↑ "Lionel Cole Battles Sabrina Batshon The Voice Australia 2014". Sydney Affairs. 2014. Retrieved August 8, 2015. ↑ Barnes, Candice (June 2, 2014). "The Voice recap: stolen roses, wobblies and why is Katy Perry here?". The Sydney Morning Herald. Fairfax Media. Retrieved August 10, 2015.